RTI announced today, with deep sorrow, the loss of founder and CEO, John Demskie, who passed away unexpectedly at his Florida home on Thursday, September 15, 2016. Demskie was 48. "John was a true pioneer in home automation," said Mike Everett, vice president of sales and marketing, Americas, for RTI. "His passion for designing and creating innovative solutions has greatly influenced the control market. We are dedicated to furthering his technical vision which is at the heart of this company. He will be greatly missed within our RTI family and the industry as a whole." 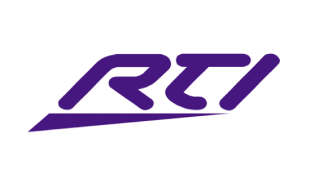 Founded in 1992, RTI originated in Demskie's one-room apartment in Minnesota. A skilled hardware engineer, Demskie was a tinkerer and home theater and consumer electronics enthusiast. His vision for RTI's customized remotes and touchscreen control devices was born after seeing countless magazine images of high-end homes with dozens of entertainment system remotes littering coffee tables. Demskie set out to create a universal remote that would simplify the control experience, making it more intuitive and enjoyable for users. In 1994, he successfully launched his first remote control, the Lexicon 500T. The first of its kind, the remote was well received and spurred a new wave of home theater and entertainment energy that centered on simple, elegant control, and automation. Since that time, he continued to drive RTI's successful product innovation, helping to engineer the company's world-class control solutions while building a strong team to lead the company into the future. Under his direction, RTI has established itself as a leader in control system technology. In recent years, Demskie handed company leadership and operations responsibilities to his team, who is now dedicated to continuing his legacy of innovation and commitment to the custom installation industry.